When you're hooked with a book or you need to be alone to finish your online tasks, one good spot to head on is a coffee shop. For the last two days, I've been reading "The Great Brain" by John D. Fitzgerald - a very good book for kids and adults. I'm currently skimming the last three chapters so I need to have a good place to enjoy the finale of the story. A good reading spot is not hard to find when you're in the mall. I checked-in at Bo's Coffee Club at the Main Mall of SM City Cebu today. I tried something new for my taste buds. I bought a tall Cafe Mocha worth Php100.00. It was really good. 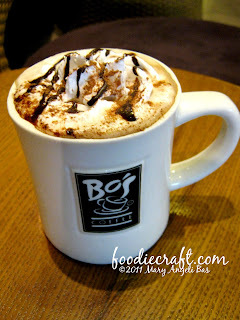 It tastes good because it's like choco with some milk. Lumps of whipped cream form sweet goodness when you drink the hot beverage. I admire how the people in the coffee shop serve the beverage. They take it to your table when it's not too hot and not too cold. I personally appreciate the way. 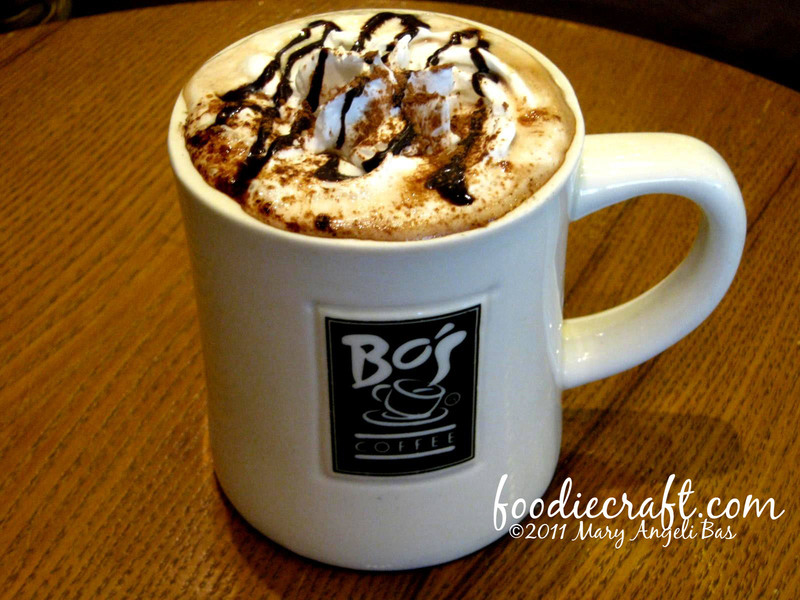 Compared to other coffee shops, they serve beverages at its near-to-extreme temperature. If it's a hot beverage, they serve it at the hottest point the mug/cup could hold and the same with cold beverages. 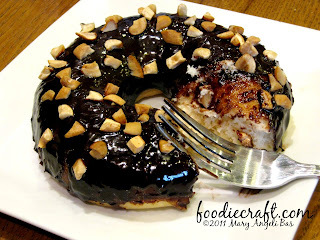 For my snack, I bought a Nutty Choco Doughnut that costs Php60.00. It was served right away after it was heated in the oven. To describe, I can use a single word: tasty. I love how the bread is made. It already has flavor. You can enjoy eating it without the melted chocolate topping and nuts. 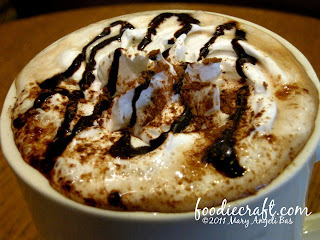 The creamy goodness of the melted choco is made very well. It is so sweet. The top part of the dough is rightly coated with it. It didn't make the dough saggy. The sprinkled nuts are large making it enough for one to enjoy the entire dough with its salty taste. 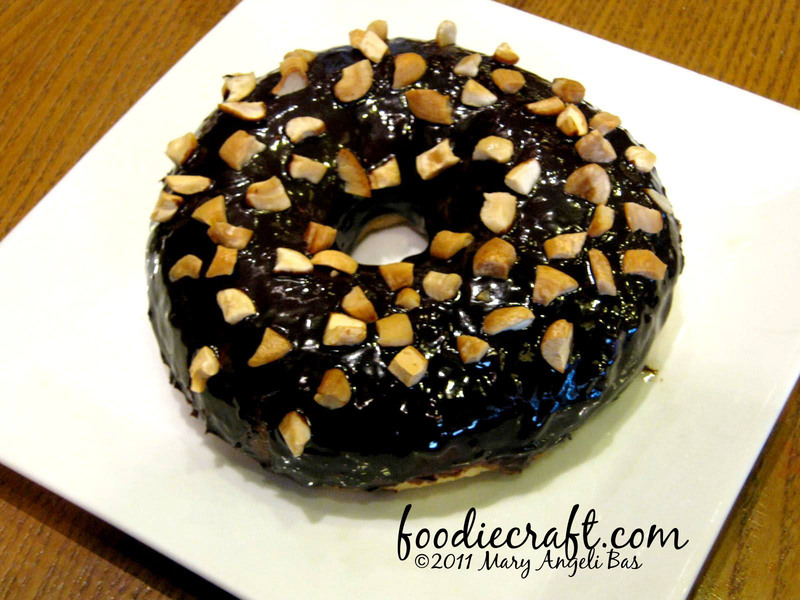 The contrasting flavors of the dough, the melted chocolate, and the nut make a perfect combination. A perfect treat for sweet-lovers. The doughnut is big but it's enough for one person because it's truly delicious.The Nutty Choco Doughnut is one of the best snack bites I've ever tasted this year. Nice Angeli. Keep it up! @Joy: Wow! Thank you so much!